Kasan Sperow is visiting Abrazo and Coze to share how she is helping her son grow into a globally-minded citizen. She does this, in part, by instilling a love of languages through early language exposure. Kasan has hopes of raising a multilingual child. Kasan is a new mother, published writer, and thinker. 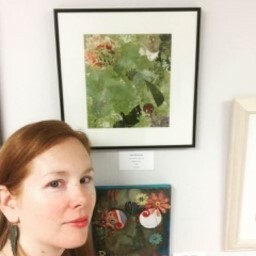 She speaks French almost fluently with a great accent, and she has picked up a little bit of Russian and Turkish by working with various nonprofits throughout her career. Kasan has a B.A. in International Studies and an M.S. in Art Education. She blogs about her musings and inspirations at Kasanamom.wordpress.com and KCSperow.wordpress.com. Having followed similar tips in raising Cat (21, my eldest), I can attest to the benefits. Cat is fluent in English and German, almost fluent in French, passable in Japanese, and working on adding Spanish to the mix. I have high hopes that you’ll be able to implement the suggestions and see similar success! Little did I know that all of the effort that I was making to speak French with my baby would result in him making a sound that French-speaking babies commonly make: “ah-reuh”. It’s a little like when English-speaking babies say “goo-goo, ga-ga”. I was over the moon with joy! My native language is English, and my goal is to raise my son to be at least bilingual. Maybe even multilingual. I did not grow up in a bilingual household, but my son will if I can keep up several habits. 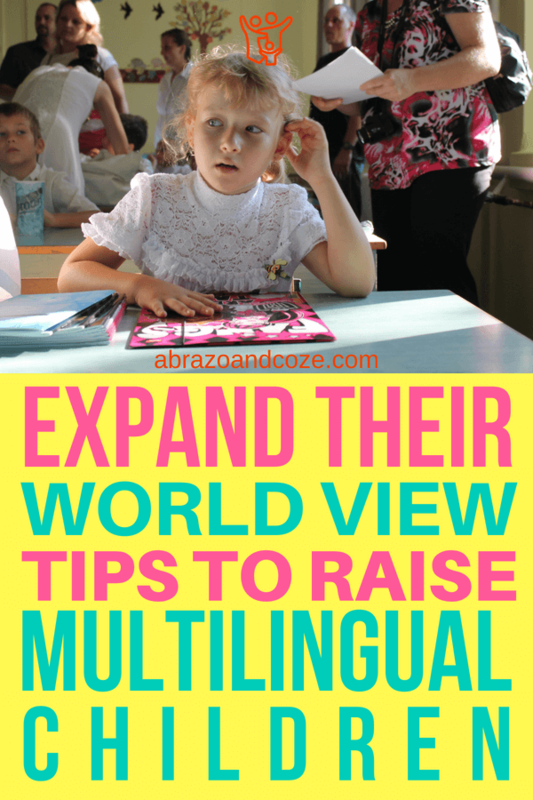 I want to share my best tips and resources with you for raising a multilingual child. If there’s anyone still on the fence about the benefits of bilingualism, consider that the grey matter in a bilingual person’s brain is denser than that of a monolingual. 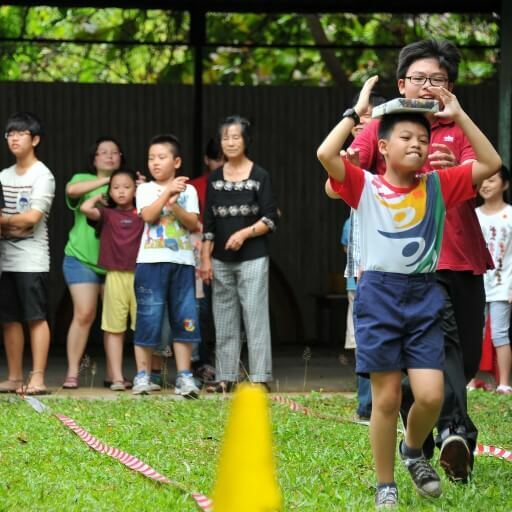 You want to offer academic and social boosts to your child’s development, right? 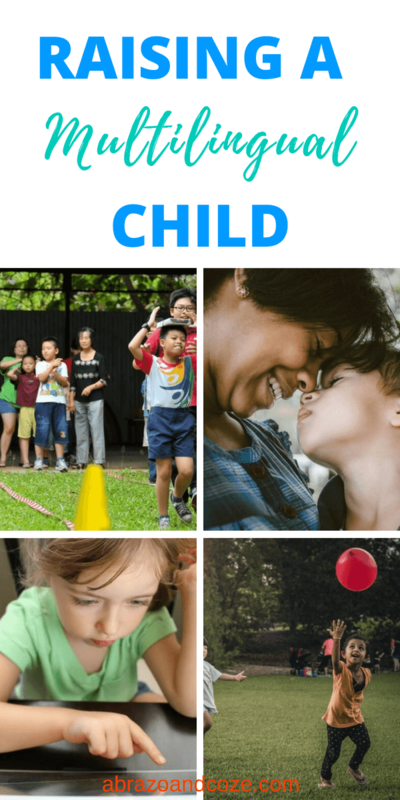 Let’s take a look at some of the best tips and resources on how to raise a bilingual child. You can apply the same tips for any number of languages. You’re already reading to your child in your own native language, right? Of course! You know it increases brain development and literacy. Babies are described by one researcher to be “taking statistics” on the sounds that they hear in order to keep the ones they need for future expression. Absorbing sounds like a sponge is your baby’s specialty. Reading books aloud in various languages offers a much wider variety of sounds with which to build upon later. Children’s books also pull double duty in offering colloquialisms and informal child speak not found in formal language classes. This comes in handy later if you’re able to socialize your child with other children who speak your target foreign language. More on that later in this post. Your local library likely has children’s books in other languages, especially if you live in a larger metropolitan area. If your local library system is not able to help, this post also covers community and cultural organizations where you may be able to borrow foreign language children’s books – for free! Whether or not you’re fluent, the act of speaking (and maybe making mistakes) promotes the target language and its sounds to your child’s ears. Even if I can’t think of a word in French, I will explain it using only French. 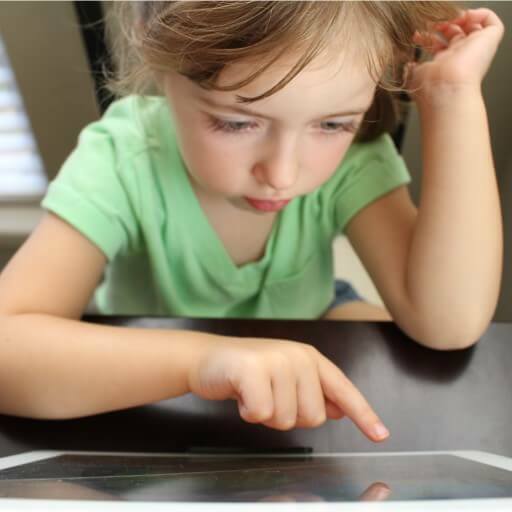 Children are no longer thought to get confused by hearing two or more languages spoken at home. 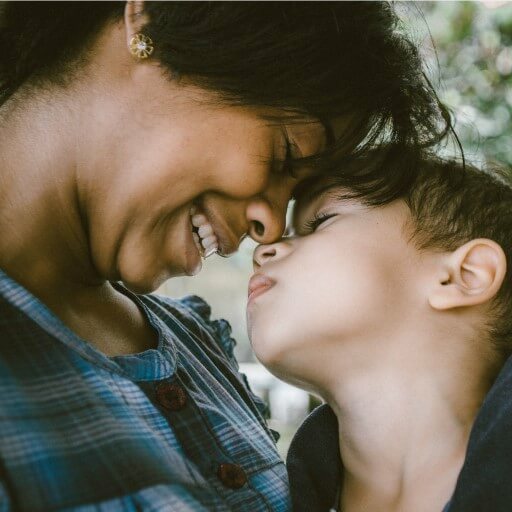 Multilingual families operating within communities that speak a different language largely find themselves in one of six models identified by researchers. For example, parents might speak Hindi and English, but if they live in China, Chinese is reinforced by the outside community to produce a largely trilingual child. Or, both parents might speak English natively and another language with enough proficiency to pass it along. However, if they live in an English-speaking community, there may be too little reinforcement from the outside community. 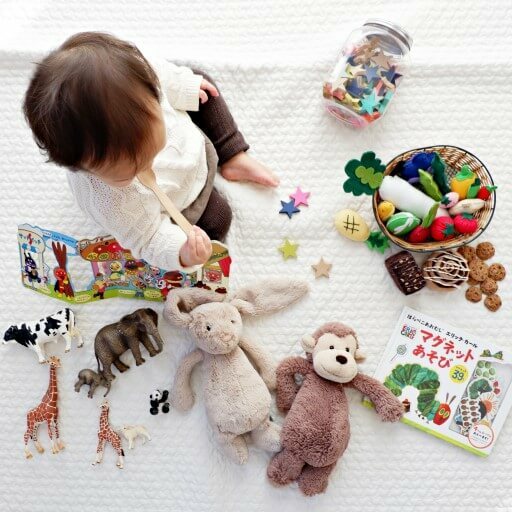 Playgroups in your target language offer an authentic way for your child to socialize in the target language. I found a local Francophile kids group nearby, for instance, that was started by another bilingual family through Meetup.com. Another online search provided me with a local bookstore that offers Saturday bilingual play sessions in French and Spanish. Just remember to use common sense and safe judgment when exploring playgroups for your children. For example, I met a mother from the Francophile kids group at the local library for the initial meeting. Neutral public territory. She had her own three kids in tow, and we enjoyed getting to know each other in a relaxed, public atmosphere. What if you’re not in a large metropolitan area? Consider looking up the closest cultural organization or community center, consulate or embassy, or even chamber of commerce. For example, the National Hellenic Society Organization spans many cities across the US. Their goal is to support the sharing and preservation of Greek culture and language among Greek Americans. Even if you live in a small town, there is probably an international festival of some sort that promotes cultures, languages, and crafts from around the world. Some community centers are often attached to places of worship, such as this BAPS Shri Swaminarayan Mandir (mandir = temple) in the suburbs of Atlanta, GA. This is especially true in smaller towns and cities that may not have official consular or chamber of commerce representation. Keep an open mind and be humble when considering international churches, temples, mosques, synagogues, and all other manner of worship spaces. In my experience, if you inquire politely, people are more than happy to help. You’ll find them willing to share ideas for how to build community reinforcement for your bilingual child. Don’t forget food! Authentic, family-owned restaurants where the staff speak professionally in your target foreign language can offer a multi-sensory environment for your bilingual family. Podcasts. Whether it’s formal verb conjugation or conversation, I use an international children’s story podcast that offers short stories for kids from around the world in other languages. I even listened to one in Farsi the other day and tried to guess at what was going on, just for fun. Music. Wherever your target language hails from, there are children who grow up in that culture, which means that there are children’s songs to download. Pop music with easy lyrics works, too. I wouldn’t even rule out instrumental music. 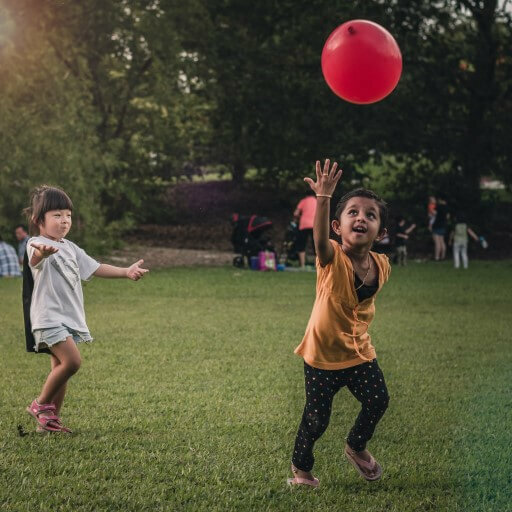 The style of the beat and the nature of particular instruments are often indicative of the target culture and language that you want your child to be immersed in. Plus, music is fun. Radio. Even if the content of the program is advanced for your baby, it counts as exposure to the rhythms and cadence of the target language. Radio is ideal because it includes not only music but also talk shows and dialogue. Cartoons or children’s videos. Most cultures have their own famous cartoons. You can find translations of classics, such as Sesame Street, or other beloved favorites, in many languages. Do you ever notice how you forget a skill if you don’t use it? Languages must be skillfully practiced in order to be passed down. “For everybody trying to raise a bilingual child, whatever your background and reason, it’s very important to realize that acquiring a language requires massive exposure to that language.” So asserts Dr. Erika Hoff, who is a developmental psychologist and professor at Florida Atlantic University. That “massive exposure” can be extraordinarily tough to find depending on where you live, but it all starts with your local community. My son will only become more fluent if I can create fun ways for us to interact with native speakers face-to-face. It’s a lot of work, but I love it. How many languages do you speak? What languages do you hope your children learn? What are your favourite language resources? Let me know in the comments. Kasan Sperow is a new mother, published writer, and thinker. She speaks French almost fluently with a great accent, and she has picked up a little bit of Russian and Turkish by working with various nonprofits throughout her career. She has a B.A. in International Studies and an M.S. in Art Education. Great tips! I only speak one language. We are teaching our little one a few words in sign language right now. Monkey (almost 4) primarily uses American Sign Language to communicate. Mountain Goat (almost 1.5) has picked up several signs, and it is definitely beneficial to have as a second language. I find the grammar a challenge,but the vocabulary is much easier for me than other spoken languages. You are doing an amazing job mama! I think it is so important to share your heritage with a child. Children who learn multiple languages, find that other subjects come easily to them. 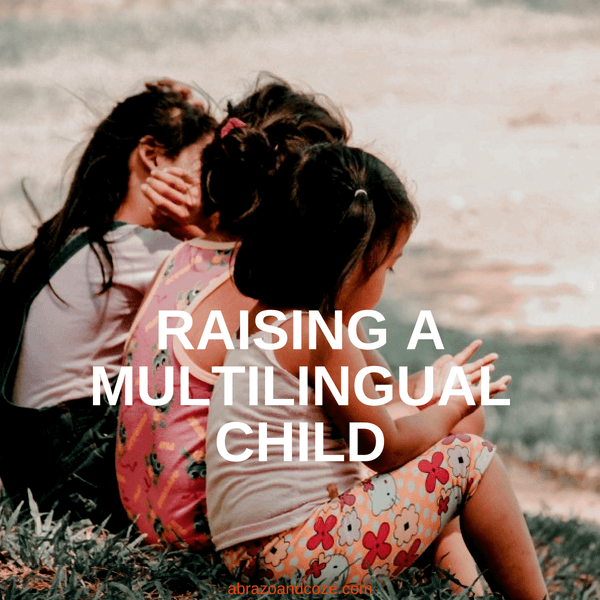 There really are a lot of benefits to being bilingual or multilingual, aren’t there! Would love for my son to know more than one language! Even if all you do is expose him to other languages, it will help his brain recognize those sounds, making learning them easier later on. I think with all the connections between people via the internet, it makes knowing languages even more important for kids. It’ll give them an advantage when they’re older and looking for work, or simply to make travelling easier. I too have a bilingual Swiss German friend raising her daughter to speak German. She has sent her to a Lutheran church that has been beneficial in terms of its preschool German program. This is great! My kids love it when I tell them what something is in Spanish. We make it into a game and they soak it up. Making it fun really does wonders. Think of all the songs you know the words to, simply because you enjoyed listening (and singing along)… but all the school facts you struggle to recall (because school isn’t often fun).